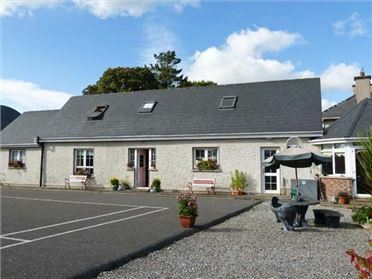 Brandy Harbour Cottage is an excellent, single-storey, semi-detached cottage just 1.5 miles from Ballinderreen, on the edge of Galway Bay and can sleep four people. 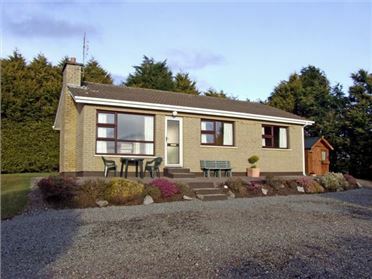 There is a double bedroom, a twin bedroom, a bathroom, an open plan living area with kitchen, dining area and sitting area with a solid fuel stove and a sun room. Outside there is ample off road parking and a shared lawned garden to the front and rear. 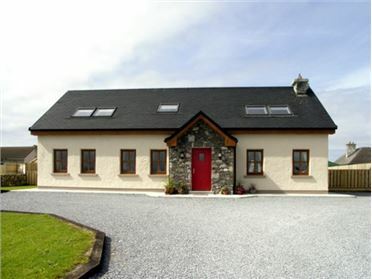 Brandy Harbour Cottage is a wonderful base for your holiday in Ireland. All ground floor. Two bedrooms: 1 x double, 1 x twin. Bathroom with bath, separate shower, basin and WC. Open plan living area with kitchen, dining area and sitting area with solid fuel stove. Sun room. Oil central heating with solid fuel stove. 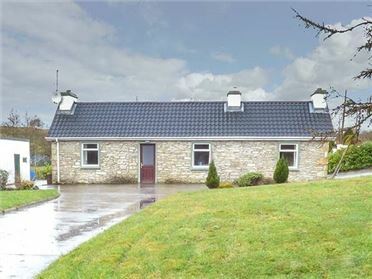 Electric oven and hob, microwave, fridge, washing machine, dishwasher, TV with Free-to-air channels, WiFi. Fuel, power and starter pack for stove inc. in rent. Bed linen and towels inc. in rent. Ample off road parking. Shared lawned garden to front and rear with furniture. Sorry, no pets and no smoking. Shop and pub 1.5 miles. Coast 1 min walk. Note: Ramped access and wide doorways. Note: One step down into sun room, but there's also level, external access from the rear of the property.